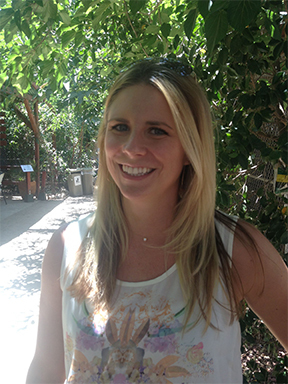 This week's runner is Robin Arzon. Robin, also known as RobinNYC, is a corporate lawyer turned fitness journalist and ultramarathoner. This May, she is running 5 marathons in 5 days - yup, you read that correctly! She's taking part in the MS Runs the US and raising money to stop MS. She writes about her running and street style on her blog. We love Robin's sense of style, her running determination and her sense of fun. Every mile counts and every mile is another moment to appreciate. I had been running recreationally for years during law school before I decided to run my first marathon in 2010 to raise money for the MS Society. Endurance racing and getting to know run crews around the world really deepened my love of the sport. It changed my life. So much so that spandex is business casual for me now after leaving law to pursue freelance writing, coaching, and fitness apparel design. The Williamsburg, Manhattan, and Brooklyn Bridges dubbed "the Triple Bypass" by my friend Mike Saes. Any combo of the three bridges gets me hill work, Brooklyn flavor, and ridiculous views of Manhattan. I'm a downtown girl. I like to stumble upon new street art and explore the crevices of NYC. Lately, immediately after a run I've been drinking kombucha. I also love brunch food (eggs, toast, blood marys!) I'm pretty obsessed with hot sauce, so I pretty much eat food as a conduit for consuming sriracha. "Nobody ever won a training run." Jonathan Cane told me that when I was trying to learn pacing before my first marathon. It was a great reminder to trust the pacing and let out the speed on race day. I run for life. Running for me has been at the intersection of a lot of worlds thanks to the amazing people I've trained with who come from outside of the traditional running community, so it's fun, sport, art, music, fashion, everything. Running keeps me hungry for challenges, endorphins, connections, and competition. I run for my mom, who took up running and continues to astound me with her positivity and light. Growing up my mom, a refugee from Cuba, always told my sister and I that we come from resilient stock. I have a tattoo on my ribs that says “resilient stock” and with every personal best and every goal I set for myself with running, I tap into that well of confidence and bring it into other areas of my life. I would have loved to run with Flo Jo. Her story, her swagger, her vibe. Even a photo of her inspires me to this day. She was unapologetically herself on and off the track. I have an affinity for Flo Jo like many do for Marilyn Monroe. Spinning. I'm Soul Cycle obsessed and I have my Schwinn teaching certification. That's my favorite way to cross train. I've also been known to burn down a dance floor until sunrise. 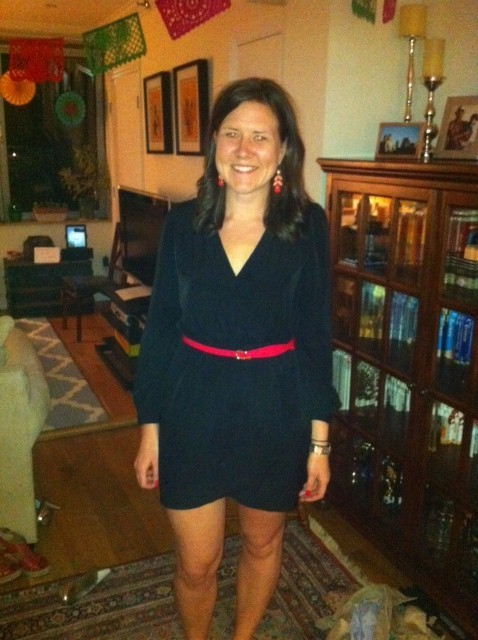 This week's runner is Lauren Shekari, a Texas native who's lived in NYC for the last 10 years. She currently lives in Long Island City, Queens with her husband and their grumpy French bulldog. 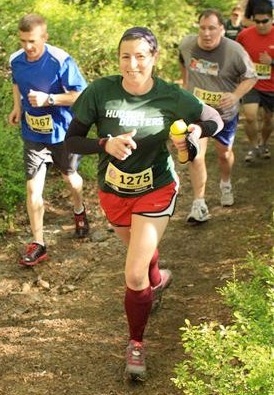 Lauren has finished 3 half-marathons over the past 1.5 years and isn't stopping anytime soon! She is dedicated to speed training and never misses her workouts. We've loved seeing Lauren become a faster and more confident runner over the past year and a half. I started running four years ago in an effort to lose weight before my wedding. I had never run in my life and between being in a happy stable relationship and recently quitting smoking (which tells you something about my activity level) I had put on a some extra pounds. With a demanding work schedule I thought running would be the best calorie burning exercise I could fit into a short amount of time. At first I could barely make it one block, so I did a run/walk 5k plan. I didn't lose any weight immediately (although later I lost about 20lbs with diet and exercise) - but I totally got hooked on running! "It never get's easier, you just go faster." That's a quote from cyclist Greg Lemond that my husband told me when I started running. I struggled a lot feeling intensely self conscious for being slow. I thought there was some magical place people got to where they automatically run 7 min miles without breaking a sweat. Maybe that's true for a few Kenyans, but, for me, running is tough physical work. My legs are short, my gait is a bit wonky, and I never ran before my late 20's, so in many ways the odds are not in my favor when it comes to running. I am OK with that, I just needed to understand that what I was feeling was normal and as I have stuck with it I have gotten much stronger and been able to pick up the pace. My long term goal is always to run faster and longer. I just ran the NYC half (my third half marathon and my fastest yet thanks to Meghan - hurrah! ), and I am itching to try my hand at the full marathon. My average pace in the NYC Half was 10 min/mile so I need to get a bit quicker before I dive into a full, but I'm headed that direction. Right now I am taking a few months mental break from the obsessive focus of training. I'm doing lots of cross training, allowing myself to slack off if the weather is gross, and remembering what it is like to run for fun without my Garmin! Who inspired or inspires you to run? Or who do you love to run with? 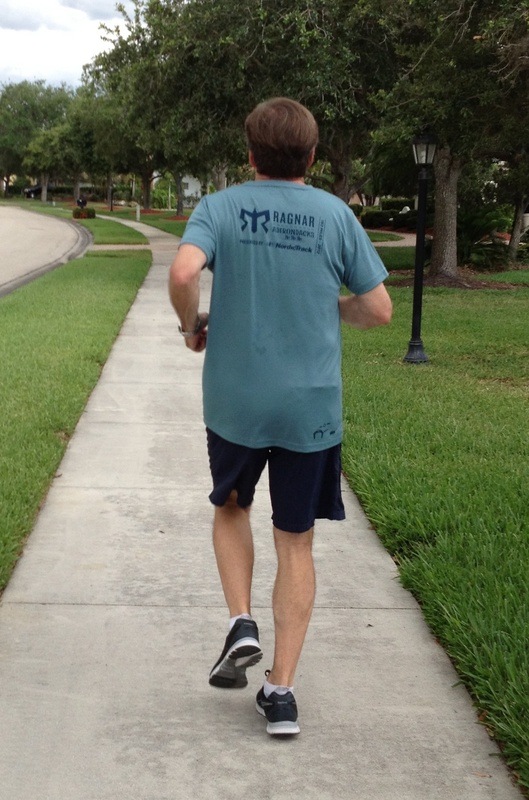 My husband inspires me to run. He is an avid cyclist (of the spandex, clip in shoes, and shaved leg variety). When we started dating I was mostly an avid knitter, reader and eater - all great things but not especially physical endeavors. Hanging out with him made me want to keep up and it encouraged me to be more physically active in all areas of my life. He never pushed me to run, but once I started he became the biggest supporter of my efforts and cheers me on through the months of training and at all my races. I won't ever be able to compete with him on a bike, but now I can leave him in the dust on a run! I love yoga and the way my body feels relaxed and aligned after. I also do a lot of spin classes because it is convenient and a nice cardio alternative to running. My absolute favorite thing is to be outside - so a bike ride, hike or trail run are all at the very top of my list. I love to get out of the city for some fresh air and trees! I really like the long slow distance runs (preferably somewhere pretty - Central Park is great). I pick a route, put some good music on my ipod, and I go. I might not be the fastest, but I can go and go. I get in a really zen zone on long runs. Its my time to be totally present in my body, focus on my breath and movement and forget about all the silly day to day stuff I might have going on. It keeps me sane. Also, as an added bonus, when I'm done I feel no guilt about eating like a champ and taking a nap (two of the best things ever). 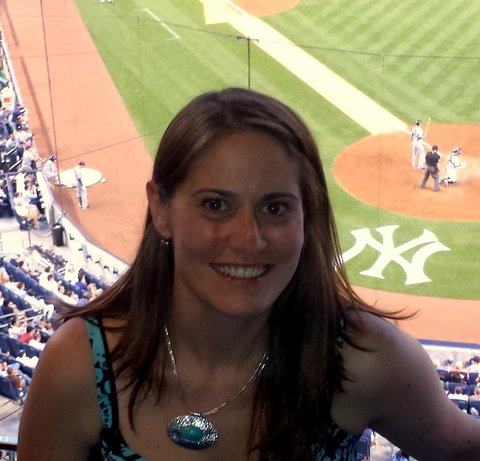 This week's runner is Carolyn Hagen. Originally from New Jersey, she now lives in Hell's Kitchen with her fiance and English Bulldog. 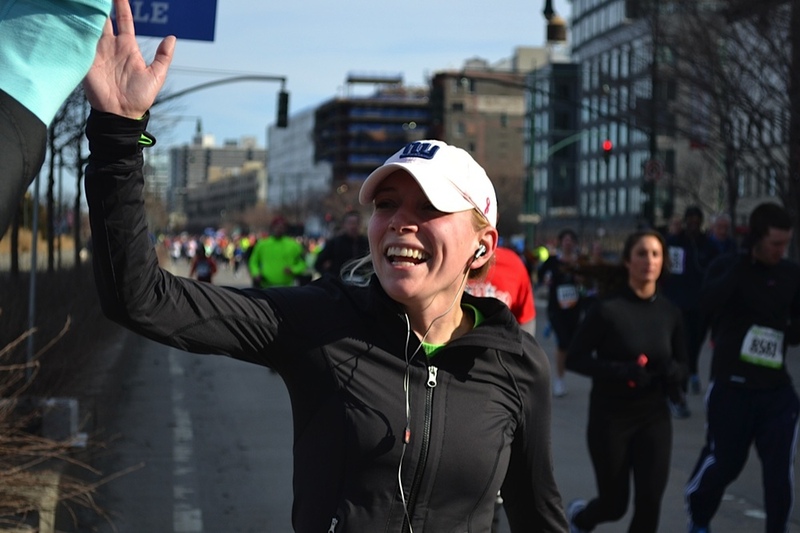 After Sandy sidelined her first full marathon goals last fall, she set her sights on the NYC Half Marathon shaving off 34 minutes from her time last year. With a new half PR behind her, she's getting ready to take on the NJ Marathon this spring for her first full marathon ever! Last year, living by the West Side Highway I saw a ton of runners so I figured I would give it a try! 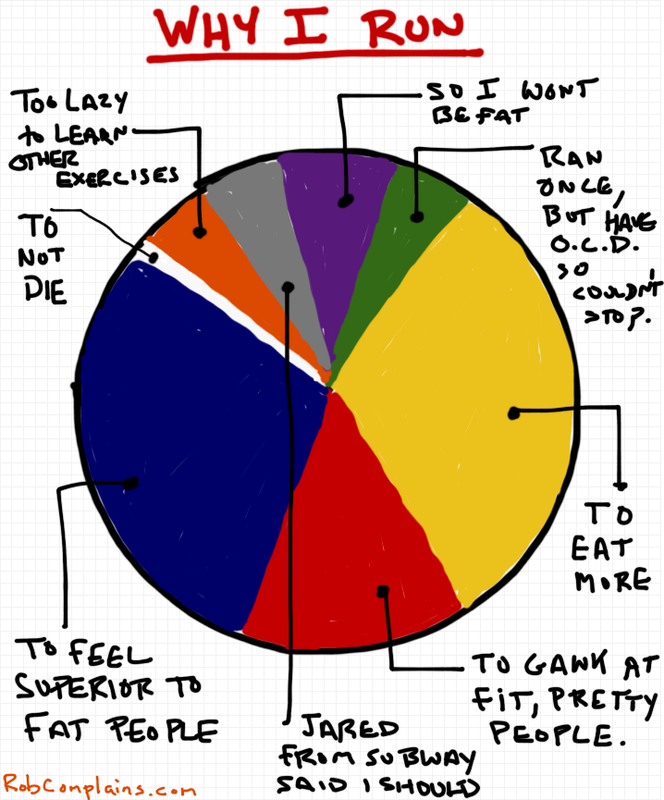 However, to get myself committed to running I signed up for a race so I would have a goal to work towards . . . the goal was NYC Half Marathon because that's what most people do when they decide they want to start running, right? Oh and my fiancee is an avid runner. Don't over train and listen to your body - this whole running thing is supposed to be fun and release stress, not something to cause stress. NJ Marathon on May 5th - 1st marathon ever! What/who inspired or inspires you to run? My fiancee - Ironically, he likes to run alone so that means I run alone. I enjoy it though because I can zone out and listen to music. It used to be hot yoga but due to training I've scaled back - so regular yoga is now my fave! Weirdly enough it's the long runs - I like to know I'm about to accomplish something major and it feels phenomenal when it's completed. This week's runner is Matt McGeough, a new father who works in finance and lives in Brooklyn Heights. This spring he's finally getting his chance to show Boston who's boss after qualifying with his time in the NYC Marathon a few years ago. Thanks to some Hot Bird Running cross training and his commitment to early (really early) morning runs, he's ready to dominate Heartbreak Hill on April 15th. I became a cross country nerd my sophomore year in high school because I stopped playing soccer and my parents made me find another fall sport. Going in I figured I'd quit after a few weeks of getting in shape but I actually liked it. I've been running pretty consistently ever since. The good ladies at Hot Bird Running taught me that a running workout shouldn't involve only running. I thought I was in decent shape going into my first workout with Jess and Meghan but the mix of running and strength training crushed me. This training season, I've been able to avoid annoying injuries that have bothered me in the past by mixing stretching, core and lower body exercises into my workouts. I qualified for the Boston Marathon in 2009 and after two aborted tries I'm finally planning to run it this year. I don't think this is the year but I'd like to eventually re-qualify at the new times. I run to challenge myself now that I'm an old man and have outgrown most competitive sports. I like the feeling of accomplishment after a long run and it helps me clear my head before or after a day of work. Basketball. I play in a men's league every Saturday and have somehow managed to avoid serious injury before Boston. Any kind of interval workout. The NY winter has forced me to move a lot of my workouts indoors and the only thing that helps me keep my sanity on a treadmill is changing up speeds. I've adopted this on some of my longer outdoor runs and it makes the workouts go a lot faster.